Do you have the heart of a pilgrim? 6 questions to help you know. Do you have the heart of a pilgrim? Don’t worry. I’m not about to hand you a bushel of corn and sign you up for a Thanksgiving play. Maybe it caught my attention because Thanksgiving is around the corner and I’ve relegated “pilgrims” to a chapter in the history book. I usually don’t think of pilgrims in the Bible–even though it’s a recurring theme with God’s people. But I think it mostly caught my attention because I tend to assign the idea of a pilgrimage to other religions. It’s something that others do. But we don’t. But we lose too much if we discard the whole idea of pilgrimages. A pilgrimage–it’s a strenuous journey with the intention of encountering the sacred. Some take a physical pilgrimage to a sacred destination. But there’s another kind of pilgrimage—a pilgrimage of the heart. Rather than a physical journey, it’s an inward journey. 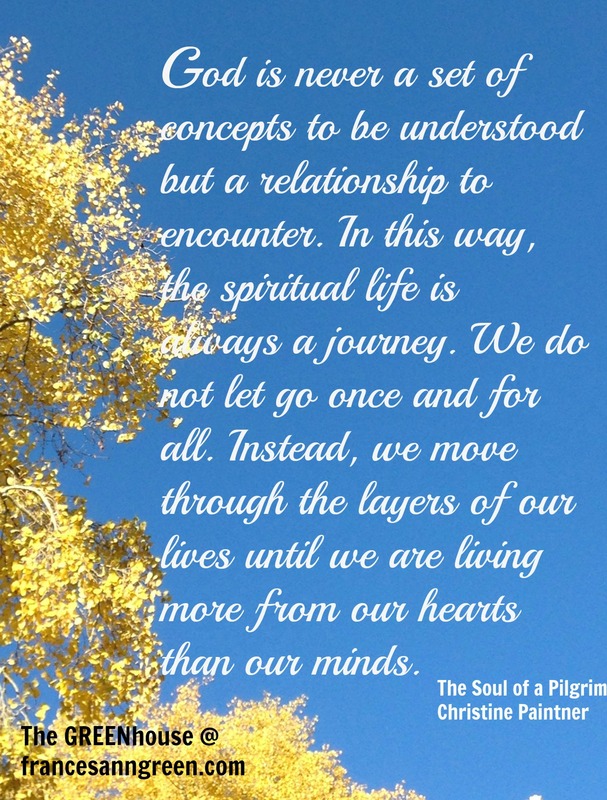 It’s a spiritual journey to the innermost parts. Our relationship with God moves from the mind to the heart. A pilgrimage of the heart seeks to know one’s true self and to fully know God who dwells within. It’s not just learning more about God. It’s a journey to be in authentic relationship with God. Pilgrimages are difficult (if it were easy, then it would be a vacation, not a pilgrimage). And if it’s going to be hard, then some of us prefer not to journey at all. Especially if we think we’ve already arrived. We know God. We know the answers, at least the important ones. We’re comfortable with our routine and would rather stay that way. We’d rather not live as strangers. We don’t want to journey into unknown territory. If we do take a journey, it’s more like a vacation where we pick spiritual experiences that will make us feel good. We return home with feel-good images and souvenirs to remind us of our accomplishments. When we’re pilgrims, though, we usually journey through dark valleys. And we return home transformed (think about Abraham and Sarah, Moses and the Israelites wandering in the wilderness, Jesus in the desert). The invitation for a pilgrimage always exists. Sometimes life’s circumstances move us out of our comfort zone and thrust us onto a pilgrimage. Just when we think we have it figured out, we face uninvited loss, unmet expectations, disappointment or pain. God doesn’t fit in our box anymore, and we must journey if we want to continue in relationship with him. We’re invited on an unexpected pilgrimage. Other times, we hear the yearning of the soul to encounter God within. We want to be in relationship with him beyond the religious activities, personal façade and pat answers. We have questions, doubts. The very things that satisfied the soul before aren’t satisfying anymore. The pilgrimage of longing lures us. Circumstances and yearnings–they both invite us on a pilgrimage. When we meet these crossroads, we either set out on pilgrimage, or we settle. We keep walking towards him, or we drift. Do you desire more in your relationship with God? Or do you think that you’ve arrived? Are you willing to journey into the unknown? Or will you only travel if you know exactly where it leads? When the journey gets tough, do you have the courage to keep walking? Will you go to new places? Or is it more important to defend where you are? Do you trust God enough to travel lightly? Or must you build up treasures for yourself and cling to baggage from the past? Will you be uncomfortable? Or do you prefer to stay nestled in the familiar? I don’t know about you, but I’d like to join the movement of God’s people from comfortable places to unknown territory. I’d like to journey with the generations of his followers who have traveled before me to strange lands. I want to know God in my inner most being. Will you also “set your heart on pilgrimage” so we can journey together? There will be difficulties, of course. And there are risks (we might not end up exactly where we thought we were going). Do you have the heart of a pilgrim? Share in the comments anything you’ve learned from your own pilgrimage. We’d like to hear from you, because most pilgrims don’t like traveling alone. Sweet friend this is my 1st time here on your site and boy you are challenging me. To the list of questions my prideful semi-Pharisee self would answer “YES” I’m a pilgrim but really?? I’ve recently been thrust unto the pilgrims journey any spent the 1st few weeks crying, complaining, blaspheming, and having temper tantrums. Thank you for helping me remove the scales as to see the beautiful journey that awaits me along the pilgrim journey. And I’m glad to have a word to hold onto during the process. So so happy to have come over from Grace & Truth. I’m so glad you stopped by. I hope you find comfort to know that you are not alone on the pilgrimage.It seems that pride is one of the more difficult pieces of “extra baggage” to shed. May you have strength for the journey! Loneliness is one of those valleys of the pilgrimage that catches many of us by surprise. I use to think that I shouldn’t be lonely if I’m journeying with God and his people. But loneliness still happens, and we can be strengthened through it. Thanks for sharing!